How Far is Kumari Woods And Winds? Kumari Woods And Winds A ready to occupy project in Bangalore is developed by Kumari Builders and Developers at Channasandra, Whitefield with tailor maid amenities, a place where you can find a peace of mind by seeing that children are growing in a wonderful environment with lots of features where kids can enjoy their life wholeheartedly, keep laughing, keep loving and keep living. A place where you can find the most remarkable and enduring human relationships in the society between elders and children. 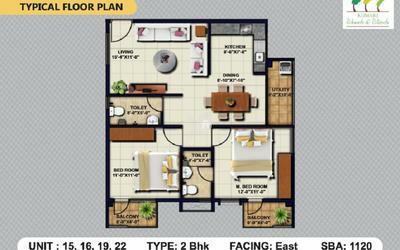 This Project Provides 2BHK and 3BHK flats for sale in Whitefield at Channasandra, a Home which you were dreaming about all these years, 2BHK flats super built-up area varies from 1120 to 1190 Sq ft and with generous designing 3BHK flats super built-up area varies from 1350 to 1640 Sq ft.
As Kumari Woods And Winds is located in one of the Sought -after location in Bangalore renowned Educational institutions and Hospitals, shopping malls are in the vicinity, A place where you can find many IT companies and even entertainment zones are also near where you can enjoy in free time, railway station is also in the proximity. The Project provides amenities that help you to relax, rejuvenate and refresh some of them are Barbeque lawn, Skating Rink, Cricket Pitch, Basketball Court, Badminton Court, Swimming Pool, Multi-purpose Hall and more. Price mentioned is total cost excluding registration. All walls are solid concrete blocks masonry walls. Exterior fascia of the building are plastered and painted with water-proof paint of good brand and color. All interior wall faces and ceiling are smoothly plastered and painted with plastic emulsion. • Ceiling is painted with oil bound distemper. Vitrified tiles flooring of reputed make. Main door is of teak wood frame with panelled door shutters with good quality hinges, tower bolt, mortice lock security eye. door stopper and bush. Three light points. one fan point and one 6-amp point in each area. Doorbell point in living/dining area. One telephone outlet and one outlet for TV in the living/dining area. Powder-coated two tracks aluminium glazed sliding/hinged windows provided with MS safety grill finished with black color. Kitchen platform is a black granite counter with half bull nosed. Dadoing with glazed ceramic tiles up to 2 feet height. Stainless steel sink with standard cera. One light point, three 6-amp points and two 16-amp points. Bedroom doors are hard wood frame with flush shutter with good quality hinges, tower bolt and cylindrical lock with key. Powder-coated two tr acks aluminium glazed sliding/hinged windows. Two light points, one fan point and one 6-amp point in all bedrooms. Telephone point in master bed room. TV point in master bed room. Anti-skid ceramic tiles flooring of reputed make. Doors are of hard wood frame with resin coated on one side and enamel paint on other side with good quality hinges, tower bolt and handles. Glazed tiles dadoing from floor level up to 7 feet height. White coloured EWC of Cera or equivalent make with seat cover. White coloured wash basins of Cera or equivalent make. cera. Jaguar or equivalent make. Ventilators are made of powder coated on aluminium with glazed louvers. Two lights points and one 6-amp point in all toilets. 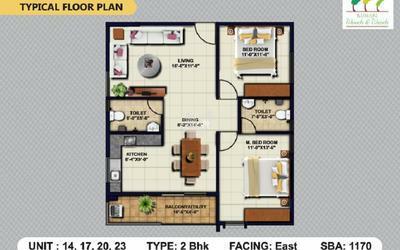 Provision for one electrical geyser in 2BHK apartment and two electrical geysers in 3BHK apartment. One light point in utility and balcony. One 16-amp point for washing machine in utility area. Laminated flooring of reputed make is provided in children's bedroom. Easy-to-rub paints of Asian or equivalent make at a height of 3.5ft. Electrical switch boards with shutters of Anchor or equivalent make are provided. All interior wall faces are provided with paints with low VOC products of Asian or equivalent make. White colored EWC of kid's range in CERA or equivalent make is provided. All the cera are of Jaguar or equivalent make. White color wash basin of kid's range of CERA or equivalent make is provided. 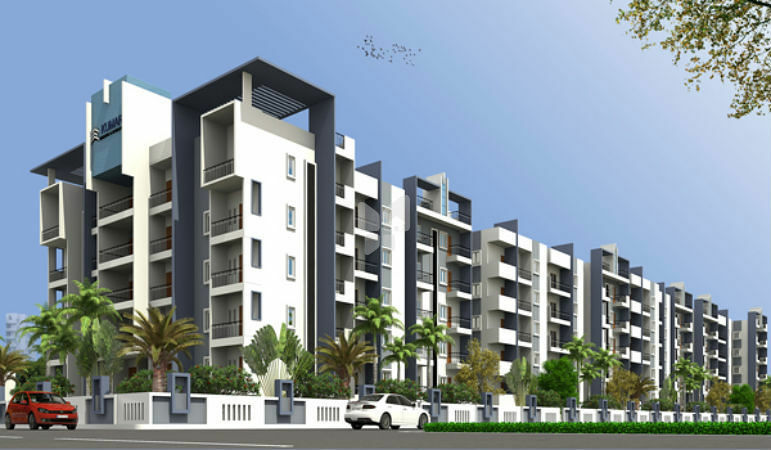 Kumari Builders and Developers fastest growing real estate developer in Bangalore founded in the year 2012 by T Narasimhulu Naidu, who are committed to Build Homes for life. They mainly focus on quality and perfect work in each project they work on, so they can provide the best homes to their clients at the affordable price which provides luxury living experience. 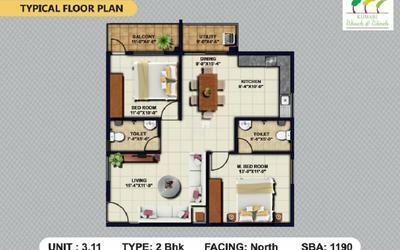 They have built happy homes for over 400 families and has earned the respect of customers and peers alike within a short span of three years, Kumari Woods And Winds project is one of the projects of Kumari Builders and Developers in Bangalore located in Channasandra, Whitefield, which consists of 2BHK and 3BHK which are ready to occupy. They have become a leading choice of the home buyers as they constructed ten residential projects in a span of just 3 years, they deliver perfect homes to their buyers in the given time and budget with their well-experienced architects and designers, they make homes that address the problems of the new generation where people can live, work and play. inspiring and environmentally sensitive spaces for a higher quality of life, they are currently working on many projects, one such project is Kumari Amaranthine with amazing amenities which consists of 2,2.5 and 3 BHK flats.